Arg. 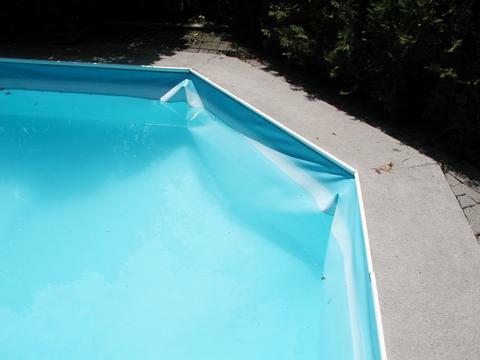 Right after our pool was opened, the lining started to inflate like a balloon!! Scary. Never saw anything like it! Our pool guy, Bill, fixed the problem: a leaking return water pipe, which was pumping water behind the lining. Amazingly, he fixed it all by digging a couple feetl under the concrete. In order to save time/money, I started the digging and tore out all the brick work surrounding the cement area. Luckily, I had already been working on the bricks this year, so it wasn’t as frightening a prospect as it might have been. Bill had to finish the digging. 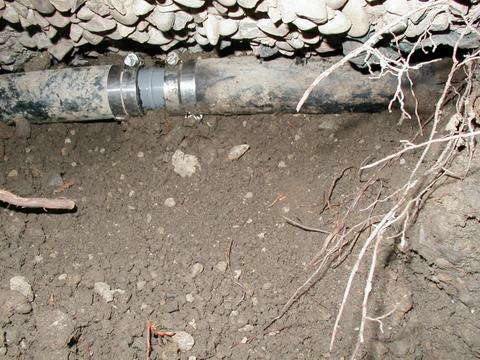 I was convinced he’d have to cut the cement to get at the pipes — the pipes were at least two feet under the cement, very close to the lining. I still can’t imagine how he was able to work under there. I did my best to replace all the dirt, but I was left with a whole wheelbarrow full of dirt that didn’t fit. I hate that. Now I know it’ll sink if I add back the bricks. So I’ve been doing my best to water it and stomp on it to try to pack the dirt down as tightly as possible. I’ll have to wait a while, I think, to let it sink as far as possible. In the mean time… I think I’ll rip out the rest of the brick around the pool and re-set it. At present, there’s so much dirt between the bricks that the weeds are having a hay day. Georgia Miller on Radioactive Mutant Woman! Theresa Palemo in Ciccone on Italy!